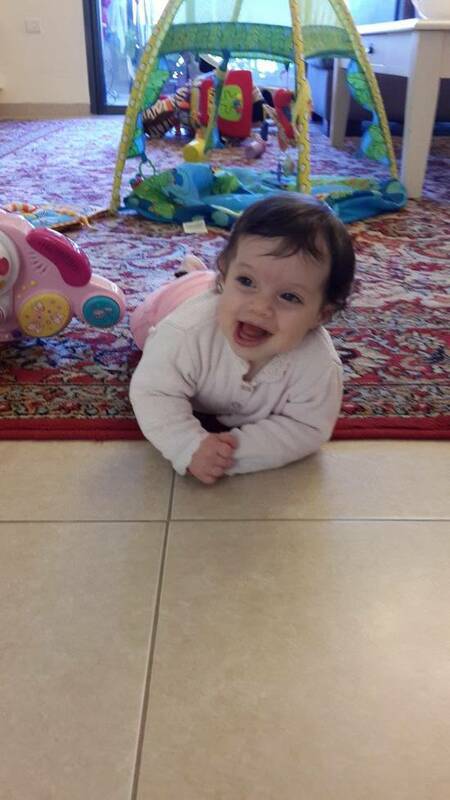 Maya was born on 13/05/2014 in "HaEmek” hospital in Afula, Israel. In the first day she was in good condition though she seems to be hungry and wanted to eat a lot. After the first night when the nurses brought her for the morning meal Danit (her mother) saw she seems sleepy and apathetic. The nurse came and took her back to the nurturing home and after about one hours they came to talk to us and told us she had low blood sugar of 19. We went to see her and she was already connected to an infusions of glucose to her hand. They decided to take her to the new born intensive care and to monitor her more frequently. When we got to the intensive care unit they connected her to an omphalos infusions so she can get more concentrated glucose if needed. The doctors told us that it is common for babies in the first 72 hours after birth to have the blood sugar levels low and then all the systems improve. After 4 days there was no change, every time they try to reduce the glucose level in the IV the sugar dropped. She was infused with 25% glucose. We understood that there is something wrong with her so many more tests were taken but they all came back negative. They started to talk to us about HI already then but only as a rear possibility and told us that one of the test to check it will take some more time and this is the inulin level that she have during Hypoglycemia. Dr Klari who is the head of intensive care started consulting Prof. Tenenbaum, who is the head of children endocrinology unit at "Haemek" hospital. She told us that Maya seems to have Hyperinsullinism she started to explain about the illness and that she would need medicine. She explained about the two option for medicine there is and she said we will start with Diazoxide and see if this helps to enable us to start reduce the glucose level of the IV and that the main purpose now is to stable her with medication and food so she can go out of hospital without the IV. We didn’t know who to react to this and it was probably one of the worst days of our life. In parallel she explained about the genetic form of this disease and told us the best will be to test it in Hadasah Hospital as they have special lab to check those DNA mutation. We sent blood test both us and Maya and had to wait for two weeks to get the results. The next day Maya stated receiving Diazoxide and it looks she was responding to it so the doctors started to reduce the glucose level in the IV and we thought we are in good shape, then after about a week she stopped responding to this and the sugar level remain low even after she eat. Prof. Tenenbaum decided to start with Octreotide through the IV and told us in the mean time she will ask for a pump so we can go out from hospital with this. The reaction to Octreotide was very quick and her blood sugar levels got normal but not stable. She had Hypoglycemia at least once a day and the doctors didn’t know what to do. During the time she was in hospital we started to do our small research for HI. We made a contact through a friend with Gaya family which head HI as well couple of years ago and from them it was the first time we heard about the option to do surgery to cure the disease. In our research we also red that the recommended treatment path for focal HI is surgery. We received the genetic results from Hadasah hospital and they suggested Maya has focal lesion. After 5 weeks in “HaEmek” hospital we thought we are going home, but then the last night before going home Maya had again Hypoglucemia. We were so desperate and the doctors in the hospital were loss and didn’t know what to do more. We decided then to move to “Hadasah” hospital in Jerusalem which has the most experience in Israel in these type of disease. Again this was very tough day, Maya was transported with Ambulance to Jerusalem to the intensive care unit. When getting there we started to feel much more confident with the doctors and nurses and we saw they already treated children with HI. In the first day at Hadasah we met the first time Dr. David Gillis which is the lead endocrinologist dealing with HI. In the first meeting we already talked to him about surgery and he offered to contact Prof. Barthlend which he knew from previews patients he sent there. In “Hadasah” Maya was another week and eventually she was released with the Octreotide pump, continuously blood sugar testing and constant feeding regime. As much as we were happy to go home and to take Maya to meet her older sister and brother who were very happy meet her final after 6 weeks, we were very scared as well to come home with a sick child and we didn't have doctors and nurses anymore to rely on. Luckily, we have a very supportive family and they helped us during this hard time, and Dr Gillis was in touch with us all the time to answer every question we had. When we left the hospital we already decided we are going to the surgery option and we started to work on all the operation to arrange it. We knew about Prof. Barthlend in Greifswald and about CHOP in the US. The surgery was schedule to end of August that summer and until then we had to take care Maya at home. It was very hard to manage and our life stopped in a sense during this all period. We arrived to Sana Hospital.in Berlin on August 19th. On the next day Maya had the Pet c.t which showed that she had a focal lesion at the head of the pancreas. Prof. Barthlen told us this is the most difficult location for surgery, but he already made several of those and he is confident it can be removed. On August 21st we were most warmly welcomed in Greifswald by Prof Barthlen and his medical team who immediately gave us the feeling that we arrived to a safe haven .Prof Barthlen spent a lot of time explaining to us in length about the procedure of the operation including the risks and the possible results. He was more than patient to answer any of our questions. On the 25rd Maya went through 6-7 hours open bally operation and then she was taken to intensive care for 7 days. The whole team was amazing and attentive and helped us through these difficult days. Her blood sugar was stable all right after the surgery but she was under a lot of pain from the surgery and vomiting a lot because during the operation Prof. Barthlend head to move the stomach. After 7 days it seems Maya is on a positive way for recovering and most IV were removed including the glucose one. 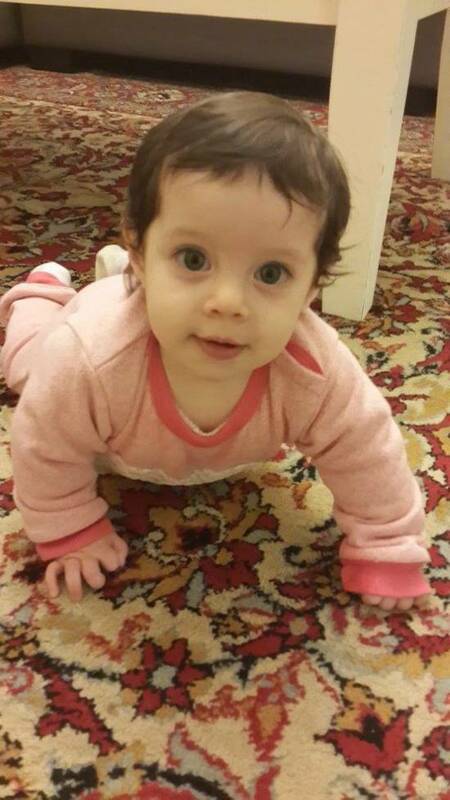 She was moved back from intensive care to the pediatric surgery unit and we were very happy. After one day in the unit we saw Maya was very week and pale and she didn’t want to eat at all. Prof. Barthlen decided to connect her feeding tube and start push her food as she need to get stronger. In parallel her fluid drainage from the surgery didn’t stop and Prof. Barthland told us he is worried about that, but he believe eventually it will stop. Few days after Maya condition started to be better, she got back eating a long and her fluid almost stopped after peeling the tube a little out. We were very happy and started to arrange the journey back. In total we were in Germany one month which were very difficult, but worth it as we got back home with healthy child. Maya is now 8 months old, started to go to regular nursery home, she is a happy, smile a lot, beautiful, smart and amazing child. She does not need any medication and she leads a normal life. We were lucky to be surrounded by angels who responded immediately to our needs and received us so warmly and kindly- we would like to thank Dr Klari and the intensive care team of “HaEmek” hospital, Prof. Tenenbaum who was the first to detect the HI so fast, Dr. Gillis who was for us 24 hours and supported us when being in Hadasah and after when getting back home. Special thanks to the CHI team- Dr K.Mohnike, Dr W.Mohnike and Prof W. Barthlen, we would like convey our deepest gratitude and appreciation to the intensive care team and the pediatric team – you were wonderful, caring and compassionate. Dear Prof Barthlen- there aren’t enough words to express our gratitude and deepest appreciation for your professional, humane, patient and compassionate attitude. you have changed Maya’s life and our lives in a way that words cannot express, for us you are more than a doctor and a surgeon- you are our hero or even as Itay Maya’s brother would say “Supper Hero”. We would also like to take the opportunity and thank our family and friends for their support and prayers throughout all that time, without which we couldn’t have made it specialy to Shiri Danit’s aunt who came with us to Germany for twice and supported us during the hard time there and Asaf, Danit’s brother who came to help and support us for one week in Germany. Special thanks to Danit (Maya mom) parents, who took care of Maya sister and brother during our month in Germany and their continues support and help before.